During a conference call discussing last quarter’s fiscal results, Jon Rubinstein indicated that Palm will commit 100% of their resources to webOS. Going forward, the company will only ship webOS devices. This effectively puts an end to the Palm Treo and Palm Centro products. While many expected that Palm OS devices would likely end with the Centro, Palm discontinuing Windows Mobile phones is surprising. During the Q&A Rubinstein said that Palm would be “focusing all of our effort building webOS products” and that all future engineering efforts will on developing webOS devices. In an interview with Australian tech site APC, Palm’s CEO Ed Colligan revealed the company’s plans for the next generation Palm OS they company is calling Palm 2.0 along with plans for a new “prosumer” brand that will “slot between the Centro and Treo lines”. The interviewer did not shy away from asking Colligan difficult questions surrounding the future of the company. Competition in the smartphone space is fierce. BlackBerry owns the Enterprise market, Windows Mobile devices have seen huge gains, Apple has burst onto the scene with the iPhone and Google is preparing to deliver it’s Android OS which will surely prompt a slew of Google phones into the market. With this crowded and competitive space, how does Palm compete. "Palms got maybe 15 million customers and 50 million devices around the world, its brand thats globally recognised. We sold a million Centros in the first five months of it going on sale with one carrier in the US, so to say were not an active player in the market is not really accurate," said Colligan. He certainly reads the continuous barage of negative media coverage surrounding Palm products and likens his company to Apple when they experienced their dark days. "If you look at Apple and one of our board members, Fred Anderson, used to be CFO at Apple at one point in time Apple was in a very difficult position and (Anderson) was there at that time, trying to figure out how they had the resources and the cash to see the next quarter through. Apple was on the cover of every magazine, (we saw) all these articles about the demise of Apple, and now theyre one of the most successful brands in the world." 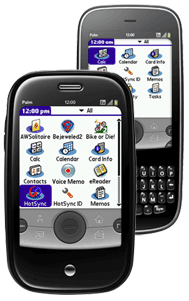 Collligan referred to Palm’s next generation operating system, codenamed Nova, as Palm OS 2.0. Interestingly enough, Colligan pointed to his Centro saying, “This is something different to this.” Palm’s next-generation operating system with much more capabilities, driven around the Internet and Web-based applications. Palm is banking on their ability to integrate software and hardware to enhance the user experience. From Colligan’s comments, it appears that Palm will deliver multiple devices under the new brand. "We think its going to be stunning and breakthrough in its execution, and were working on some very exciting new devices to go with it." One might even be the illfated Palm Foleo. The launch of the next generation Palm OS will also bring a new product line that will fit between the existing Palm Centro and Palm Treo Smartphones. 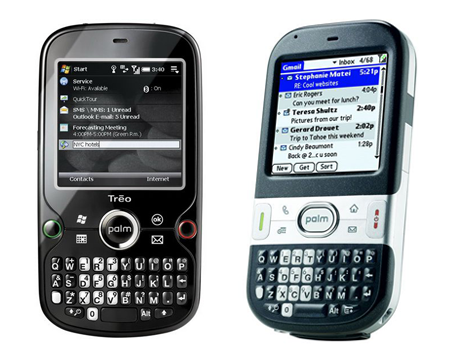 The Centro is considered Palm’s consumer line and the Palm Treo is now being thought of as strictly enterprise. From Colligan’s comments, it certainly appears that we’ve seen the end for the Palm OS on Treo branded smartphones. "Were going to continue to look at those three line areas consumer, prosumer and enterprise. Treo is today more of our mainstream prosumer product which is extended into the enterprise, but over time youll see some branding work done on the top two to make sure theyre really well delineated," continued Colligan. One must wonder if Palm is simply distancing themselves from the Treo brand that has been the subject of harsh criticism of being a stagnant form factor, if not platform. Apple’s return to glory started with the iconic all-in-one design of the highly sucessful iMac, a hardware product that help usher in the release of Apple’s linux based operating system. Their breakout success however due to the iPod/iTunes, where they were arguably first to market. In 2009, Palm will to their linux based operating system to usher in new devices under a new brand. Palm has a difficult challenge as they attempt to create that "wow" product in a field that includes the Apple iPhone and BlackBerry Bold. Given Palm’s rich history of innovation, they are certainly one company that can pull it off. With Palm’s stock taking a hit yesterday, there does appear to be hope on the horizon in the form of new Treo smartphones according to Olivier Rozay, a regional director for Palm in the Asia Pacific. There have been conflicting reports on whether Palm will be able to deliver the next generation Palm OS devices by the end of 2008. According to Rozay, "We are also going to launch the next version of Palm operating system by end of this year, which will be more suited for our sleeker and better-looking devices". Rozay also mentioned that Palm will be bundling applications such as Facebook in its upcoming handsets. There have been conflicting reports on when Palm will actually release the next generation Palm OS. Many expect that Palm will introduce the Palm Treo 800w in the coming weeks, possibly CTIA. This could be our first look at then new sleeker handsets that Palm has in store. If Palm were to deliver a new sleeker Treo running an on updated Palm OS architecture, it would help regain it’s position among the top smartphone manufacturers. RIM and Apple have managed to cut into Palm’s marketshare over the past year leaving the company with only 9% of the smartphone market. To put that in perspective, relative newcomer Motorola has managed to garner a 7% market share despite having a runaway hit when it comes to devices. In only 8 months, the iPhone has managed an astonishing 28% market share. Needless to say, Palm needs to move quickly and if correct this will come as welcome news for Palm enthusiasts and stockholders. SlingPlayer Mobile lets you watch your TV and control your cable box via your Palm Treo. Officially, SlingPlayer Mobile for Palm OS only supports the 3G-capable Treo 755p and 700p, though Sling Media reports numerous users are Slinging happily on older devices such as the Treo 750, and Treo 650. SlingPlayer for Palm OS is available as a 30-day free trial and retails for $29.99. Download SlingPlayer Mobile for the Palm OS at Sling Media.